On the search for a conventional style and slim bifold leather wallet, you’ll probably come across the Bellroy Hide and Seek since it has proven to be popular among minimalists. Bellroy is known for making high quality, innovative but expensive wallets, and this is no exception. But what actually sets this apart from other traditional bifold wallets? Is there that much disparity in functionality that it warrants such a high price point? Read on and find out in my review. Dimensions (inches) 4.25" x 0.6" x 3"
Bellroy’s Hide and Seek wallet is a designed to save space and become slimmer than what most traditional bifold wallets are. This is achieved by using less layers of material and eliminating a coin holder, with some degree of success. As a result, it’s slimmer than most traditional wallets once filled with the same amount of contents, but there isn’t a vast difference as seen on other slim bifold style wallets such as Wally by Distil Union. There are two different models to suit US bills (low model) and other larger bills (high model). The only difference being that the high model has an extra centimeter of height on it. Aesthetically, it looks the part just like all other Bellroy wallets. It’s constructed from soft cowhide leather which smells and feels nice, but the quality of it isn’t anything far superior or special to justify its high price point. Still, most users are paying for the creativity and novelty of this wallet. How it looks packed with several cards in the main and hidden slots. Its available in cocoa, java or slate colors, with an interior contrast for the java and slate models. 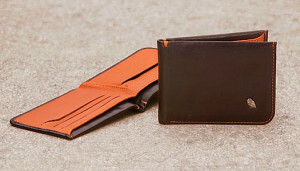 All models will feature an attractive custom vintage style design featuring Bellroy logos in the bill compartment. There is one niggly annoyance, at least in the mind of some users, of Bellroy’s protruding owl logo on the front of the wallet, which you can feel when it’s inside your pocket. While this is a non-issue for most, it still adds a few millimeters to what is supposed to be a slim wallet. The creative ways in which the compartments are designed are really what make this wallet what it is. 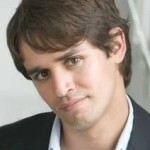 The intention is to store as much as possible while still retaining its slimness. Upon opening the wallet, you’re greeted with 2 card slots on the left and 3 on the right. They’re all designed to hold one card per slot with the exception of the top left slot which is designed to hold 4-5 cards. There are 2 bill compartments, one of which is concealed by a flap that helps to keep larger bills hidden while the front one is for quick and easy access. On the right side of each of these bill compartments is a hidden card slot designed to hold several business cards. All in all, Bellroy’s Hide and Seek leather wallet is designed to hold up to 12 cards and several bills in total without being bulky. 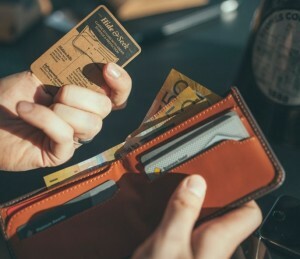 While it looks classy and is probably an upgrade to your previous wallet, the Hide and Seek wallet by Bellroy doesn’t come without its issues. In efforts to save space by reducing size and material, it has actually created a couple problems instead. Hidden Card Slots – Although they’re designed to hold business cards, the slots are actually too small and tight to hold standard sized business cards without bending them slightly. You can imagine how difficult it would be to put them in and take them out, not to mention how they’d look after being bent for some time. Unless you have small business cards, they’re pretty much going to be useless for this purpose. However, they’re quite handy to keep some coins in there albeit not too many. Hidden card slots in the bill compartments. Concealment Flap – If you carry large bills with you, especially in shady areas, the concealment flap is very useful for hiding them…except for if you decide to put some business cards in the hidden back slot which then causes the flap to overlap onto the bill compartment in front. As a result, this concealment flap is no longer inconspicuous and it also makes it difficult to take out the bills in the non-hidden bill compartment. This is a major annoyance so it’s probably best just to keep the hidden card slot at the back empty. Slimness – In order to retain the slimness of this wallet, you should only have 1 card in each slot, with 2-3 cards in the bigger slot on the left side. Stacking the wallet with more cards especially in the hidden card slots will cause overstretching and added bulkiness, making it difficult to access everything easily. If looks were all that mattered, the Bellroy Hide and Seek leather wallet would certainly be worth its high price that it has set for itself. While it tries to differentiate itself from traditional bifold wallets by adding a clever concealment flap and some hidden slots, it has also neglected some quality issues which will bother some users. If you don’t carry many cards or cash with you and you’re after a wallet that looks the part, then the Hide & Seek fits the description. However, if you were hoping for something that will hold your hoard of cash and cards in a slim and organized fashion, then there are cheaper wallets that offer better functionality for that purpose.